Every year millions of Americans lose money in heating and cooling costs. The culprit? Old and outdated windows. Windows in your home play a crucial role in allowing light in while also keeping the elements out. If you have not had your windows replaced in the past 10 years, then now may be the time to update your home. Purchasing high quality windows is an investment in your home. Newer windows come with a number of advantages including NFRC U-rated .27 or below windows that incorporate tilt-in feature that makes them easy to clean. In addition, triple weather stripping and sashes that prevent air filtration as well as low E coated glass filled with argon gas means having the most practical windows out there for retaining the interior temperature of your home for minimal effort. No matter what way you look at it, new windows are a smart investment. 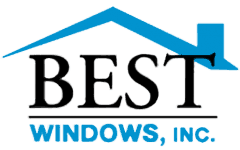 Best Windows Inc. has over 15 years experience working with the greater Burr Ridge area to provide our customers with high quality and hassle free window work. Along with installing windows, replacing windows, remodeling, and siding, we can work with you to take care of any window related tasks you may have. One of the secrets to our success is our no-pressure business model. We understand that installing new windows can be anxiety provoking, and the last thing you deserve is to be rushed during this important time. With a continuous focus on our customers, we have been fortunate enough to receive a number of recommendations, including having a solid reputation with the BBB, an Angies List Super Service Award for 2014, and our Energy Star rating. 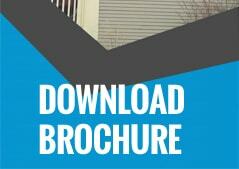 If you are looking for a window contractor, Burr Ridge IL has a number of options. The trick is finding the company that will work with you every step of the way to ensure the best quality customer satisfaction. At Best Windows Inc., we will work with you to ensure your happiness. Along with providing a superior product, our knowledgeable and experienced professional team will provide the very best service in and around Burr Ridge. We help to reduce your cost by eliminating the additional costs associated with commissions and sales. If you have any questions or would like to learn more, then please do not hesitate to contact us at (708) 204-2446. You may also visit our website Bestwindows.net for more information about window contractor Burr Ridge IL.